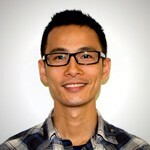 Justin Liu is a Technical Architect for the Health Informatics Research (HIR) department at the Princess Margaret Hospital. He has been at UHN since 2004 designing, implementing and supporting technologies that meet the highly specific needs of collecting clinical data in a medical setting. He has worked throughout the various stages of the design and delivery process and has implemented many tools and processes to guide the collaboration with clinical and technical staff. He is involved heavily in the design of a standardized clinical data model that facilitates the diverse data requirements of differing specialties and diseases. He is known for his work with SNOMED CT, an international clinical terminology standard and has spoken at various national and international conferences on the subject. Justin has a BASc in Systems Design Engineering from the University of Waterloo and is seriously addicted to ice hockey.